Works for EVERY Industry, Niche, and Product! Step-by-Step, Easy-to-Follow Training to Turn Every Email Subscriber Into a Raving Fan and a Hungry Buyer! The top 5% of online marketers have reached their Million-dollar incomes from growing and sending to their email lists. How do you manage subscribers? What links do you send your readers to? How often do you have to write and send messages? Look, your time has got to be spent running your business, not wasting your days trying to figure out all of that! "The Money's in the List"
The biggest and best online marketers focus all of their attention and effort to get their visitor's email address. Because email is a direct and immediate, permission-based channel for promoting your offers to interested and eager buyers. 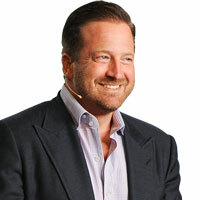 Frank Kern is one of the most sought after Direct Response internet marketing consultants and copywriters on the planet. These are some of the most successful online marketing names in the world, and they all leverage email to generate loyal fans, eager buyers and massive revenue. 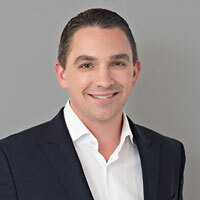 Ryan Deiss has been called one of the world’s leading digital marketers by Shark Tank star, Daymond John. 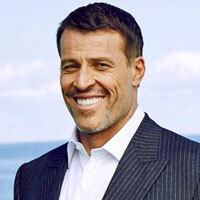 Tony Robbins is an entrepreneur, best-selling author, philanthropist, and the nation's #1 life and business strategist. 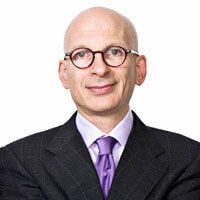 Seth Godin writes about the way ideas spread, marketing, quitting, leadership and most of all, changing everything. 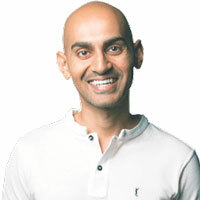 Neil Patel was recognized as a top 100 entrepreneur under 30 by Pres Obama and a top 100 entrepreneur under 35 by the UN. 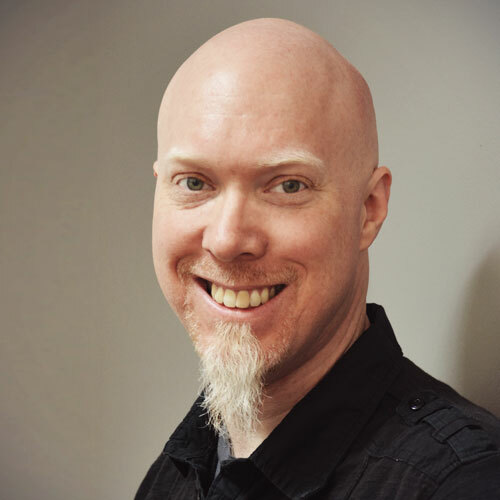 I've been a full-time freelance web developer and online marketing strategist since 2008. I work with client companies ranging from startup solo entrepreneurs to national and international NFP organizations. No matter what size, the budget, the industry or product, all of my clients need the same thing - generate more revenue with less expense. I help them do that through many different online and offline channels, but the single most effective method is by email marketing. If you've been struggling to build your full-time, part-time or even free-time online business, you've learned how hard it is to get enough cold traffic to your website and hope it converts to sales. Marketing to a group of email subscribers that have already shown an interest in you and your offer is much, MUCH easier and effective. But how do you build and grow that list? How do you scale that marketing effort? How do you really "make money while you sleep?" Email Profit Engine is the result of many years of experience in creating and executing successful email marketing strategies for my clients. I've taken the most effective tactics and best methods to get the greatest return on investment from each individual email subscriber. This training program will show you exactly how to set up your email marketing strategy the right way, and have it run 24/7 on auto-pilot. 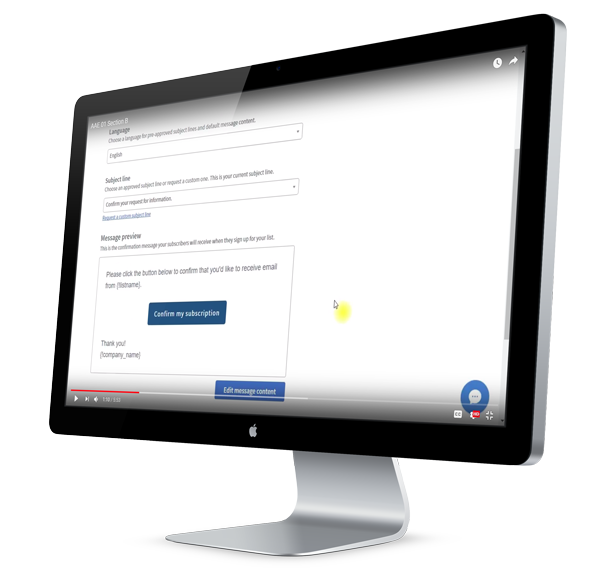 You'll have access to a special Member's Training Portal which includes all the downloads, videos, resources and bonuses you need to build your own email marketing engine. Each module and lesson has a private Notes Widget so you can add your own thoughts and ideas to your your training experience. 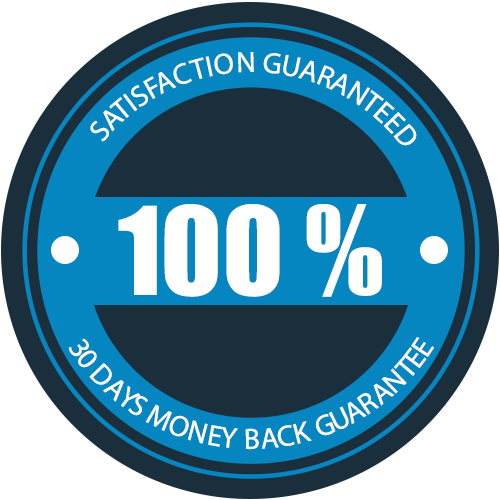 PLUS - All updates and additional training will be added when new and effective methods and strategies are tested and proven. The main program training comes in a full-length (35 pages), beautifully designed and printable PDF ebook. This is NOT your typical boring MS Word file stuffed with screen-grab images. This is a detailed, step-by-step manual that shows you everything from start to finish. I don't just show you what to do, but explain how and why things work, so you fully understand the tactics and methods you are implementing in your business. If you're a visual learner, follow along with more than 38 minutes of supplementary videos. You'll see every step in the process of setting up an effective, optimized and automated email marketing system for your business. You already have an effective email marketing generating leads and sales from your website everyday. You are looking for a "get-rich-quick" trick for over-night millions. You aren't interested in building a long-term business asset to take your online business to the next level. You know that email marketing is your best strategy for building brand loyalty, generating revenue and increasing sales. You have struggled to get engagement from website visitors or email subscribers. You are willing spend a little time and effort to work on your business now for long-term freedom and success. Keep your emails safe from Spam and Junk filters and read by your subscribers. This exhaustive list of Spam-triggering subject and body keywords will help you avoid Junk folders and get your email delivered safely and directly to your reader. Send like a rock-star! This guide will teach you how to deliver the right message at the right time even when you're sending multiple campaigns to the same subscriber. Your reader engagement will soar and unsubscribes drop. Finish your email with a high-impact and high-converting call to action, either in a text or button format and watch your profits and engagement skyrocket. 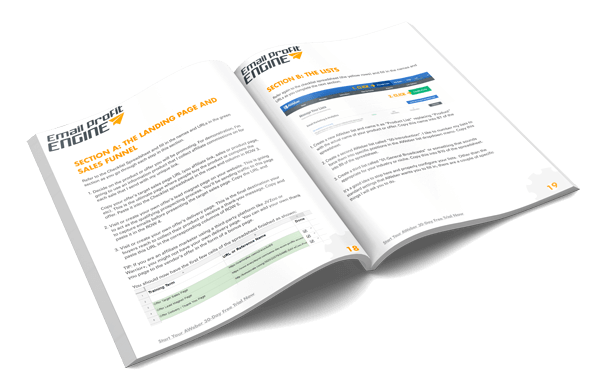 This bonus guide will show you how to write your CTA's with real punch! What Is Email Profit Engine? 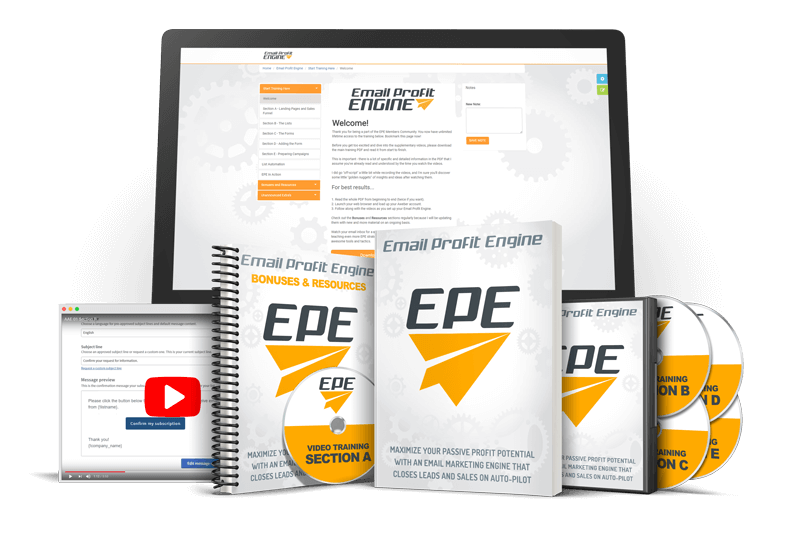 Email Profit Engine is a tried and true email marketing system that will capture leads, nurture prospects and close sales for your online business on auto-pilot. Like a real engine, you just keep fueling it and it runs 24/7. It's the very same strategy used by the elite online marketers in every industry and niche to generate huge followings and massive revenue. How much time does it take to get started? Great question! It depends partly on what you already have set up in your business. It also depends on how detail-oriented you are. You can work at your own pace. Ultimately, the goal of EPE is to spend the time setting it up ONCE and then letting it run on its own, freeing you up to do other things! Can I repeat and scale this method? Oh, yes... Email Profit Engine is easy to scale up as big as you want and all the instructions you need are inside. Yes! If you implement this strategy and don't see an improvement in your email marketing efforts, I'll give you your investment back. See below for more details. I'm not a techie. Is it hard to set up? I've helped all kinds of clients set this system up, including retired pastors and grandparents. My training is detailed but simple in language. 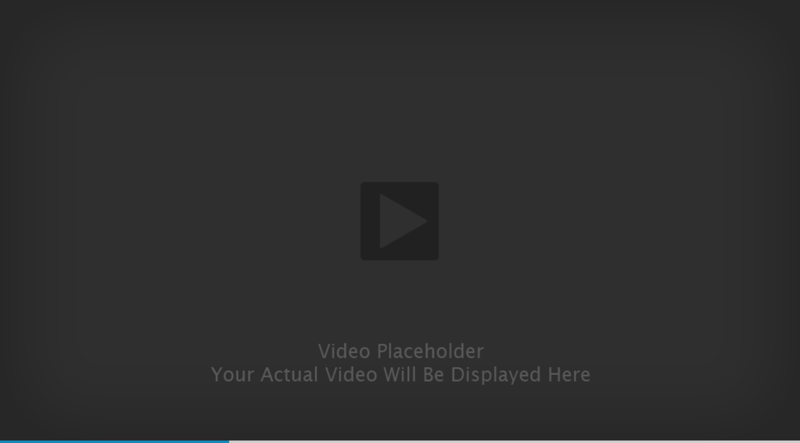 The videos are very helpful to show you every step. That said, you should be at least familiar with working with email and webpages. EPE isn't going to teach you how to set up WordPress or create new email accounts, but will show you how to rock them like a super-star marketer. Do I need to work on this for hours everyday? NO! Not at all! The whole point of Email Profit Engine is to build for your online business an automated system that generates leads, nurtures prospects and closes sales by itself. Is this some trick, hack or any other kind of unethical "loophole" with this system? Absolutely not! Email Profit Engine is a completely legitimate marketing method that many of the best marketers use every day. I've personally built this marketing system for my freelance clients for 10+ years and it continues to work perfectly and effectively. My clients have paid up to $1,000 for the exact training you're about to get today. That's correct. For less than the cost of a movie you can gain the knowledge and expertise to build an evergreen asset that will generate untold profits. 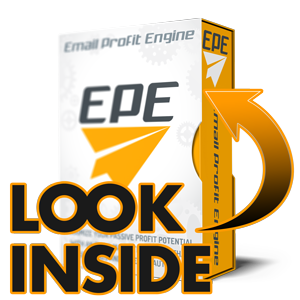 Click The Button Now And You Get Email Profit Engine Today! Stop Wasting Your Time With Exhausting Marketing Tricks. Start Emailing Like The Pro's Today! If you keep doing what you’ve been doing, nothing is going to change. The struggle will continue. You’ll save a few bucks today, but isn’t it worth investing less than you’d spend on a to finally know how to build a valuable asset for your business? I'm offering instant access to the Email Profit Engine Members Training Portal at just a fraction of what I'd normally charge my clients. I’ve dropped the price and I'm giving you a full 30 days to make sure you learn and implement the strategies. I know that once you get this set up, it will transform your business. If you’re tired of spinning your wheels and you’re looking for something that’s proven to actually work, you owe it to yourself to give this a try today! exclusive training away for almost nothing, they will flip out! SO, THIS SPECIAL INTRODUCTORY PRICE WILL INCREASE! ﻿same high-price consulting rates that MY CLIENTS pay. Before you leave this page, let me share with you a little sneak-peak into the Email Profit Engine Training. I am so confident that if you learn and implement the Email Profit Engine into your online business, you'll see an increase in email subscriber engagement. If not, send me a support email and I'll refund your EPE training investment. 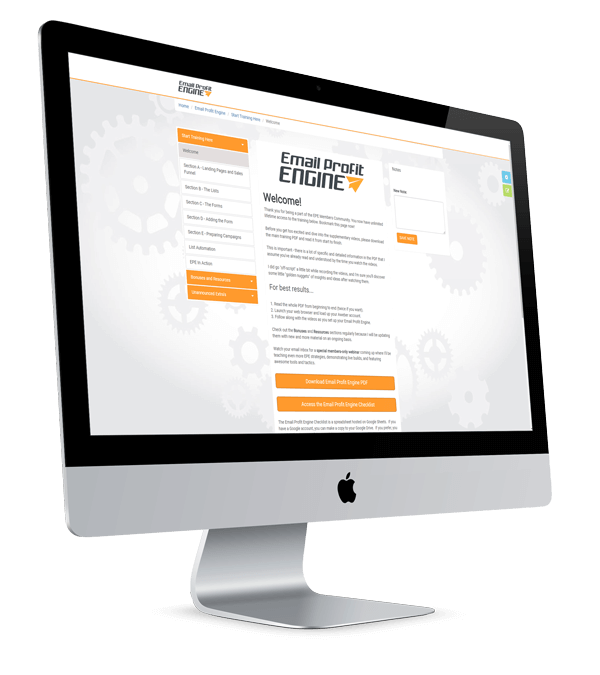 Not Sure If Email Profit Engine Is Right For You? Want a Sneak Peek at the Training PDF for Free? No problem. Just enter your best email address for instant delivery. Want To Get a HUGE Discount Right Now? Your discount will be automatically applied on the next page for a limited time. Entering your email also makes you eligible to receive future promotional emails.